I was taken aback and, I’ll admit, a bit hurt by the question. How could my wife even think to ask such a thing? Surely she knows how important my mission is/was to me, right? That it means much more than a few funny stories? But as I have mulled over her question in the past few weeks, I have come to realize that it stemmed from the fact that I tell two very different versions of my mission experience. And for each version, my answer is a bit different. When it comes to Church growth, the Church sets high expectations for itself. Likening the Church to that scriptural stone that rolls forth to fill the whole earth, Church members may expect to see exponential Church growth, with significant year-over-year gains in the number of convert baptisms. However, over the past several years, the number of annual convert baptisms has actually dipped and plateaued somewhat, corresponding in part with a decrease in the number of full-time missionaries. Moreover, retention of new converts remains a challenge, as we are often reminded by Church leaders. In this situation, it is natural for Mormons to consider possible ways to improve the Church’s missionary program to increase the number of genuine converts to the Church. The mission in which my stake is located is currently testing a pilot program that hearkens back to a familiar Book of Mormon story about a man named Ammon who wanted to build a bridge between two long estranged peoples, one of which was completely unfamiliar with the Gospel. Setting aside the direct proselytizing approach to missionary work, Ammon embarked on a mission of simple Christian service that inspired thousands who were previously considered the most unlikely potential converts to join the Church. If every stake and ward in the Church were to adopt Ammon’s approach to missionary work by conducting a wide-spread campaign of consistent, meaningful, no-strings-attached community service, could the Church experience the same miraculous growth that occurred in Ammon’s day? My “Bosom brother” Andrew has posted an interesting piece at Mormon Matters about the “10 Things Every Mormon Needs to Know” (check it out here). I wholeheartedly agree with all of his points. 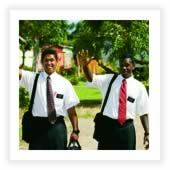 In thinking about them, however, I humbly submit that we should add one more to the list: #11 — Full-time missionaries, although called as official representatives of the Church of Jesus Christ of Latter-Day Saints, oftentimes have absolutely no idea what they are talking about. A quick disclaimer: I love missionaries and have the utmost respect for the sacrifices they make to teach the Gospel. I, myself, was a missionary many moons ago and I am absolutely sure I taught some pretty outrageous whoppers. So while I can’t help but be a bit snarky in relating my experiences, I don’t mean to poke fun or belittle the Elders at issue. In fact, as you’ll see near the end, I raise these examples to ask a couple of serious questions.